During the 19th Century the Royal Navy played a key role defending the expanding British Empire. As sail gave way to steam power, there was a pressing requirement for coaling stations and dock facilities across the world's oceans. These strategic bases needed fixed defences. During the 19th Century the Royal Navy played a key role defending the expanding British Empire. As sail gave way to steam power, there was a pressing requirement for coaling stations and dock facilities across the world’s oceans. These strategic bases needed fixed defences. The author describes in detail, with the aid of historic photographs, maps and plans, the defences of the most important islands, Bermuda, Ceylon, Hong Kong, Jamaica and Singapore, and a number of lesser ones including Antigua, Ascension, Mauritius St Helena and St Lucia. He describes how the defences were modified over the years in order to meet the changing strategic needs of the Empire, and the technological changes brought about by the Industrial Revolution. Only three of these bases had to defend themselves in war (Hong Kong, Singapore and Ceylon) and the author relates the battles for these bases. 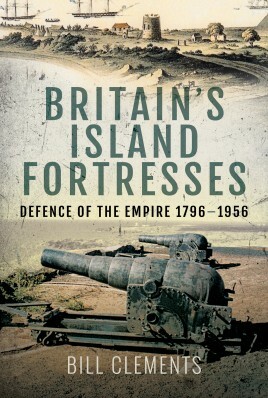 The book will appeal not only to readers whose interest is in the study of fortifications, but also to those readers interested in the maritime history of the British Empire. William Clements served in the Royal Ulster Rifles and the Royal Irish Rangers, commanding the 1st Battalion. 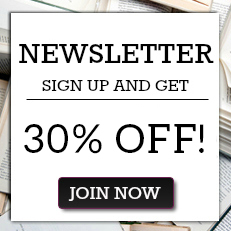 He was Defence and Military Attache at the British embassies in Beijing and Rangoon.He has long had a fascination for fortifications and is the author of Towers of Strength, Martello Towers Worldwide and The Fatal Fortress - The Guns and Fortification of Singapore 1819 – 1953 (all in print with Pen and Sword). He has contributed articles to the journals of the Fortress Study group, the Military History Society of Ireland and the Society for Army Historical Research. In 2011 he was elected a Fellow of the Royal Historical Society.